We left the Gardiner, ME campground by 8am. 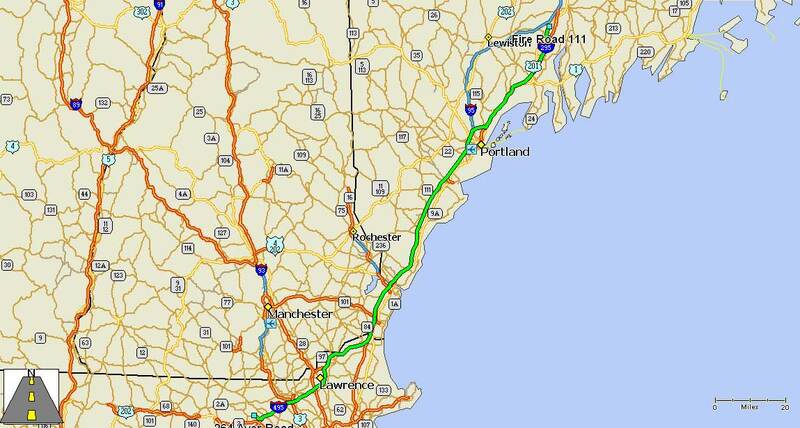 The trip is an easy run down I-95 and I-495 that should take about three hours. I say “should take” from experience. Our experience has been that Sundays on I-95 means major backups at the York, ME and Hampton, NH toll barriers. We have been in backups at both plazas that went for more than a mile and took up to an hour to get to toll booth. Our daughter, Carrie, drove from Maine to Boston yesterday and had to put up with huge backups. The early departure was meant to get in front of the crowds and it worked. We breezed through both toll plazas using our EasyPass and were in northern Massachusetts by 10am, much too early to try to check into the campground. We pulled into a rest area on I-495 and I worked on yesterday’s Web page while Susie read a book. Half an hour later we left for the campground and got there by 11am. In the half hour that we sat in the rest area, traffic on I-495 built up tremendously with people heading home from a weekend away or from vacation. It got to the point that it was nearly impossible to maintain the speed limit. 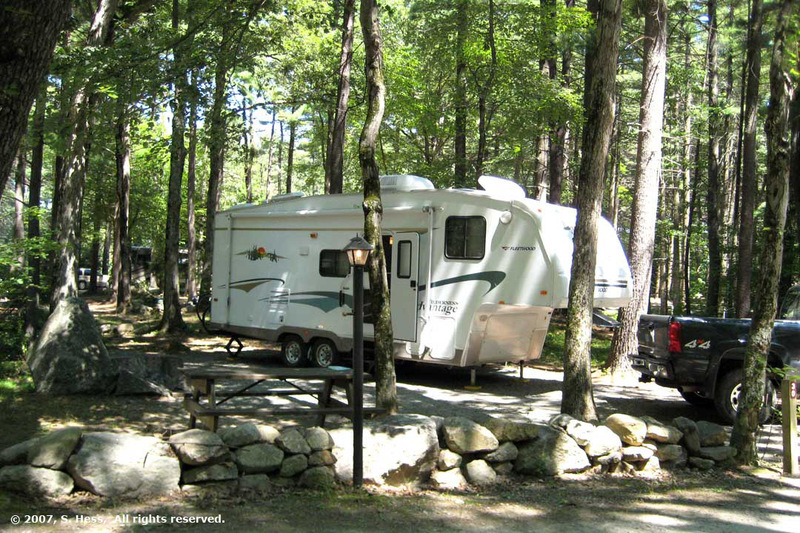 The Minuteman Campground is one of the nicest we have stayed in on this trip and would rank high on the all time list. We had stayed here 19 years ago and remembered a wooded campground with the sites separated by trees and carefully laid out rocks. While it is beautiful, it makes backing a trailer into the site “fun.” You have to watch out for the trees behind and to your side and while you are doing this, you don’t see the rock that that you are about to hit. I didn’t hit any trees (or people for that matter), but my tire hit a rock that stopped me cold. No damage except to my ego. Despite all that, Susie and I would come back here any time. We spent the afternoon packing the truck with the things we need to take home with us. Tomorrow morning we head for the storage area where we keep the trailer. We will pack the perishable food into our coolers and then head home. My brother, Arye, and his girlfriend, Margot, joined us at the campsite in the afternoon. They only live about 15 minutes from the campground. We spent a couple of hours just chatting and then went out to dinner together. It was a nice few hours.